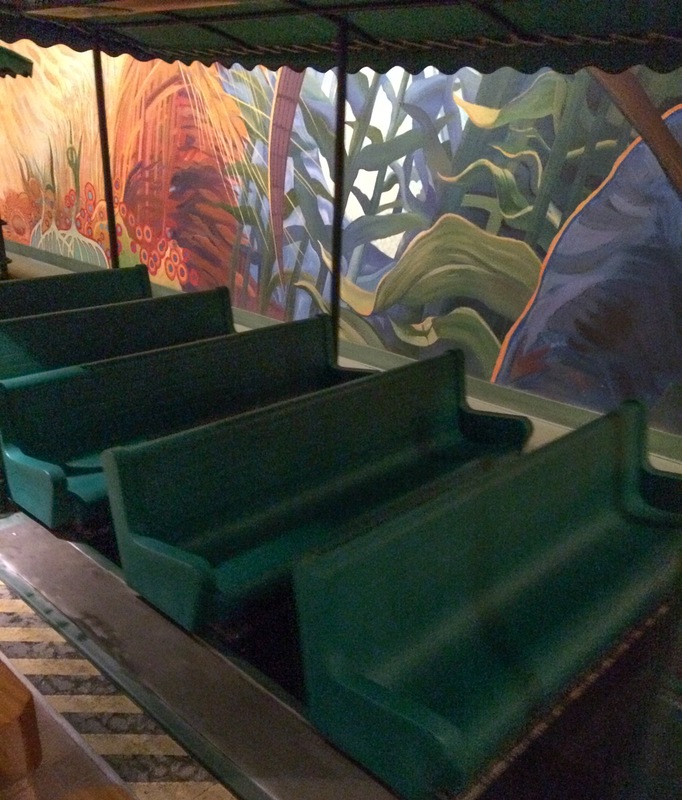 Ellen’s Energy Adventure: With long rows of seating, this ride works great for big families. The Seas with Nemo & Friends: When the boys were little, we could fit three in one ride vehicle, two in another. 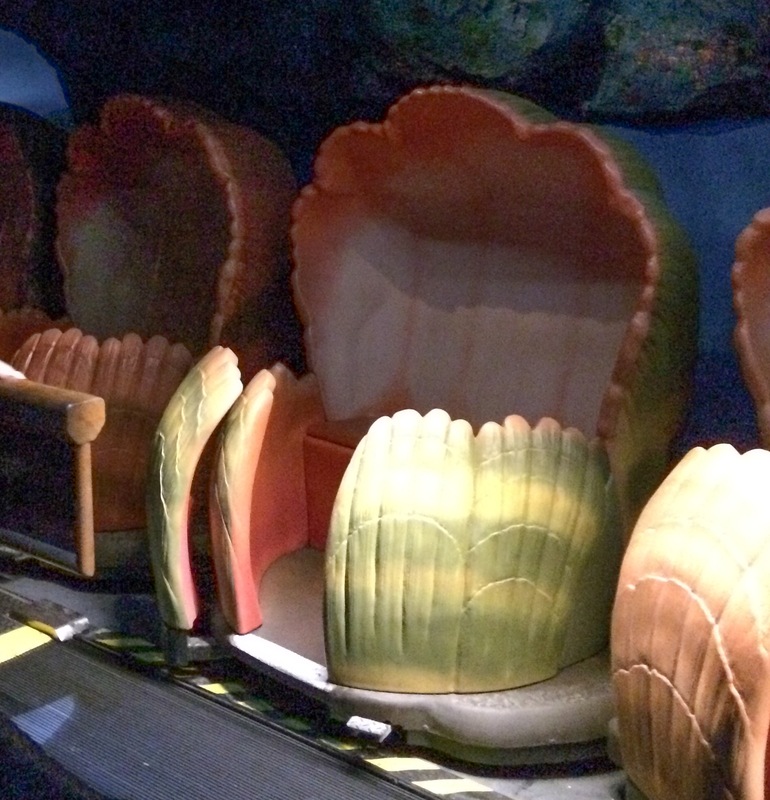 Now, if we all go on this ride together, we’re more comfortable with two groups of two, plus a solo clamobile rider. Soarin’: One of the most fantastic rides at any of the four parks, this ride is ideal for big families. 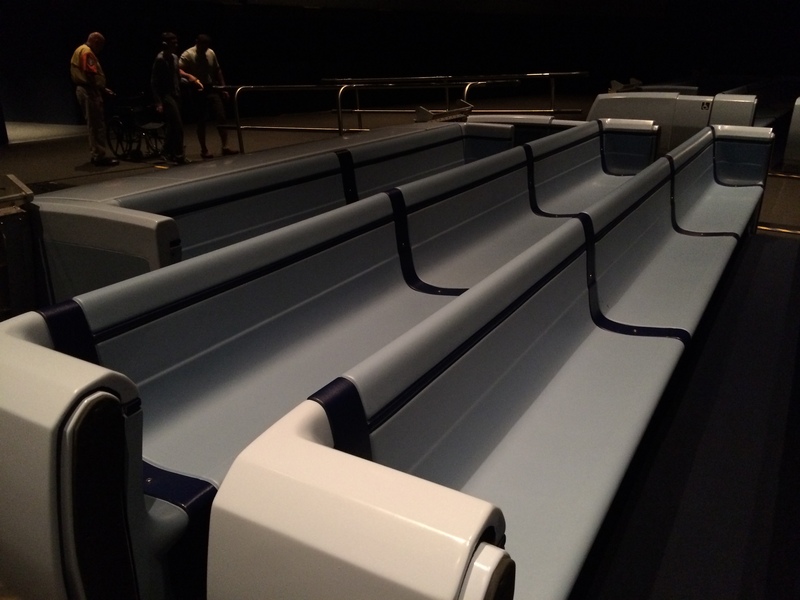 The long rows of “hang-glider” seats allow a big group to sit together. 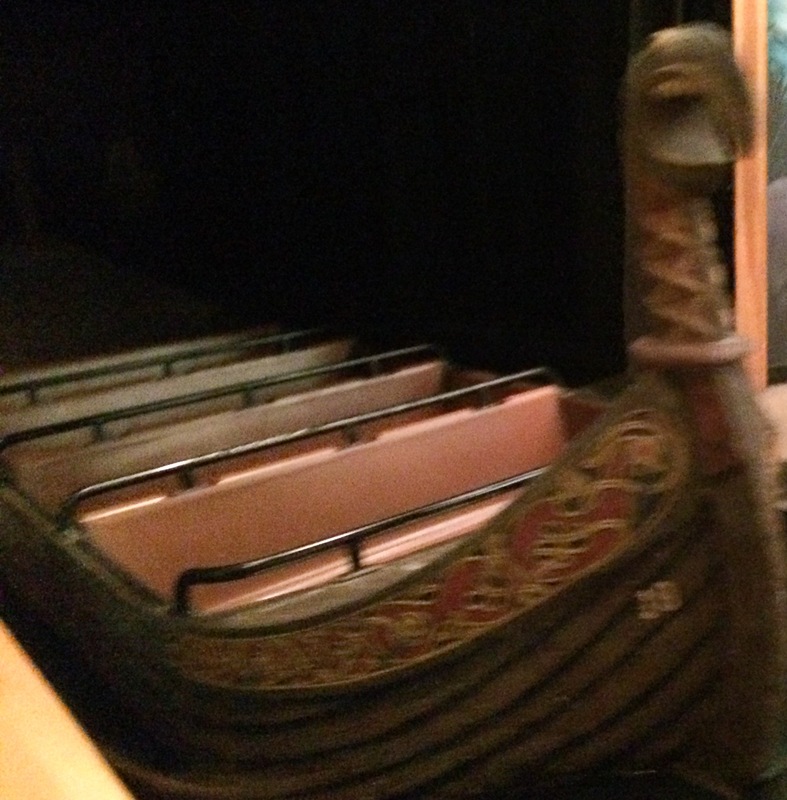 Living with the Land: Bench seating on a boat ride. We used to all fit in one row, though now we do two rows. 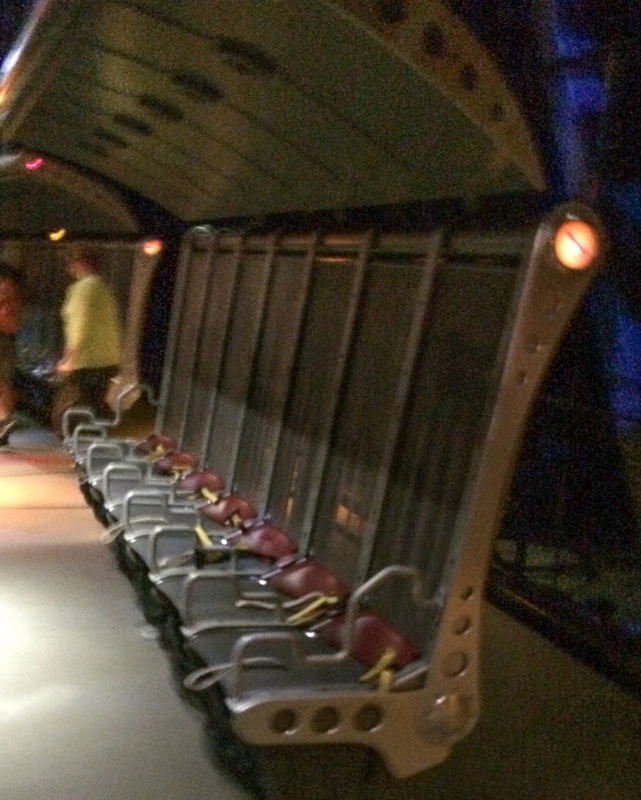 Journey Into Imagination With Figment: Each ride vehicle has 2 rows of bench seating. Five people can easily fit in one ride vehicle. 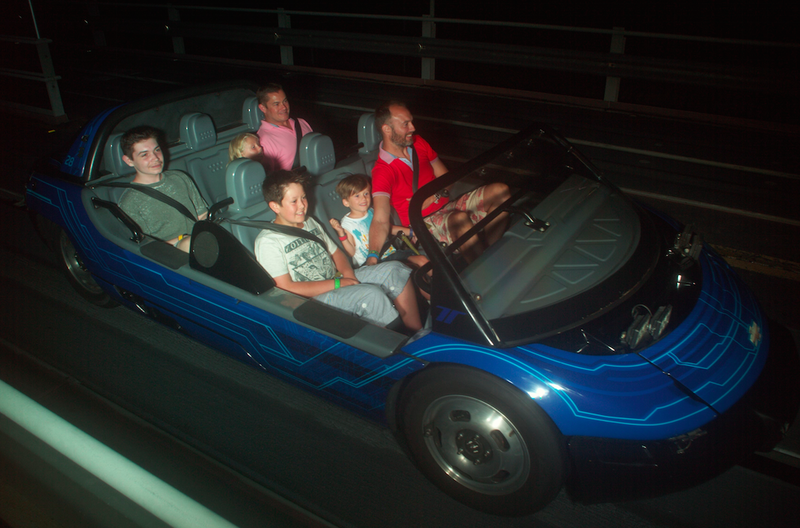 Test Track: We love this ride! Each car seats 6 people (in 2 rows), so the five of us fit into one car. There is usually a random “single rider” with us, but that’s okay! In this case, our son was the random single rider. Looks like he still had fun! 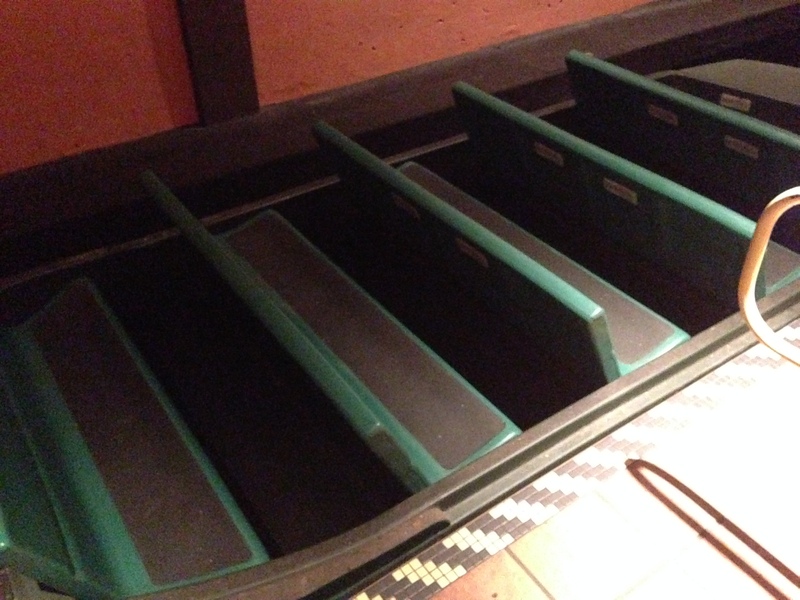 Gran Fiesta Tour (Mexico Pavilion): Bench seating on a boat ride. We spread out into 2 rows. The other rides in this park work better for groups of two to four. 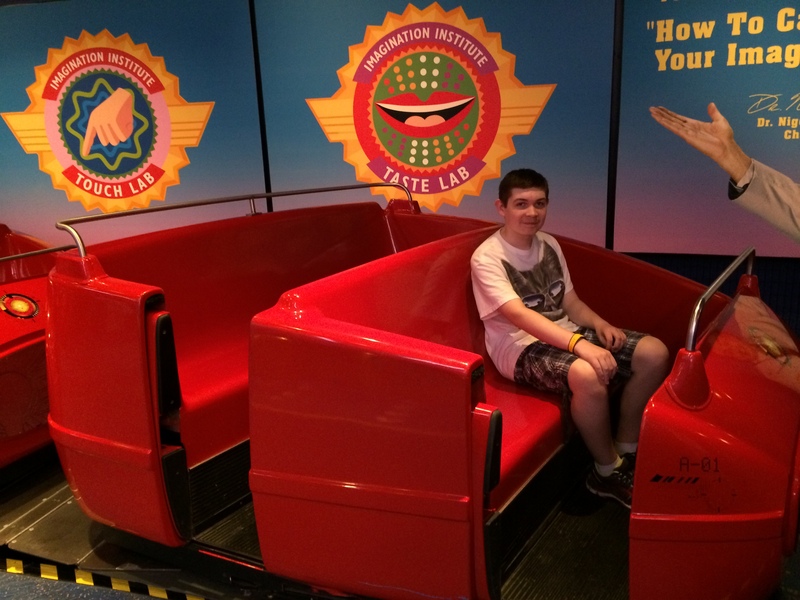 As I’ve said before, we never let seating restrictions stop us from going on a ride we really want to experience. We find a way to make it work. This entry was posted in Disney, Epcot, Walt Disney World, Walt Disney World attractions and tagged Disney, Disney for five people, Disney for larger families, Disney World, Ellen's Energy Adventure, Epcot, Epcot ride vehicles, Epcot rides, Gran Fiesta Tour, Journey Into Imagination with Figment, Living with the Land, Maelstrom, Soarin', Test Track, The Seas with Nemo and Friends, travel, vacation, Walt Disney World, Walt Disney World rides. Bookmark the permalink. It was fun catching up on all of the Disney Christmas and ride posts. Some of the rides I haven’t been on. Disney is the way to go at Christmas. I mentioned to my husband this weekend, maybe we should go to Disney World next year right after Christmas. Disney World would be perfect! Plus it would be a great getaway from the cold and snow. Thank you for all of your great posts this year, Heather. Thanks for your kind comment, Susan. Disney World certainly is magical at Christmastime. If you have the time, I’d recommend going right before rather than right after Christmas. From Christmas Day through the weekend after New Year’s, crowd levels are at their peak. In fact, the parks often reach capacity during that time frame.